For use with Kics Project Wide Thread Wheel Spacers. 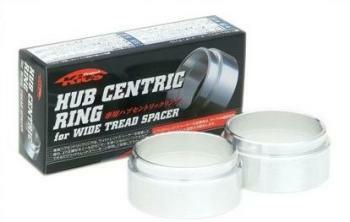 These Hub Centric Rings will ensure proper fitment and performance. CNC billet aluminum construction for strength and reliability. Hub Centric design reduces chances of wheel vibration at high speeds. To be used with Kics Project Wide Thread Wheel Spacers ONLY!